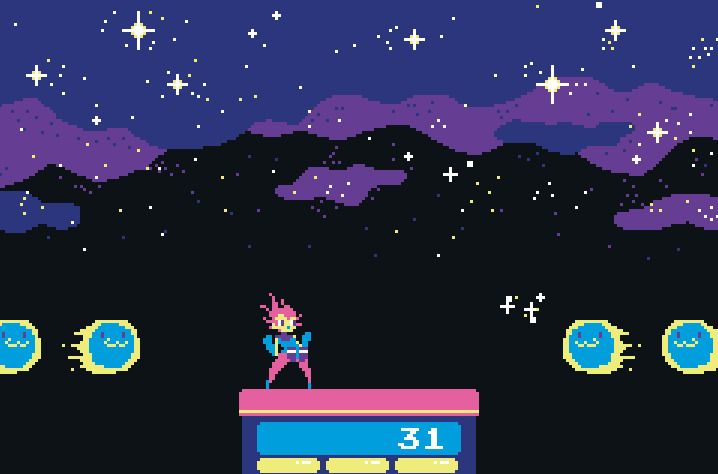 Beat Nebula is an indie title created by TJ "Kyatt" Cordes for QaziJam8 event, and while it's unlikely to ever make it to the Wii U, 3DS or Switch, it should be of interest to Nintendo fans thanks to the controller it supports. The premise is simple - you have to destroy incoming comets and dodge laser beams. If you get hit three times or fall off the slender platform on which you stand, then it's game over. 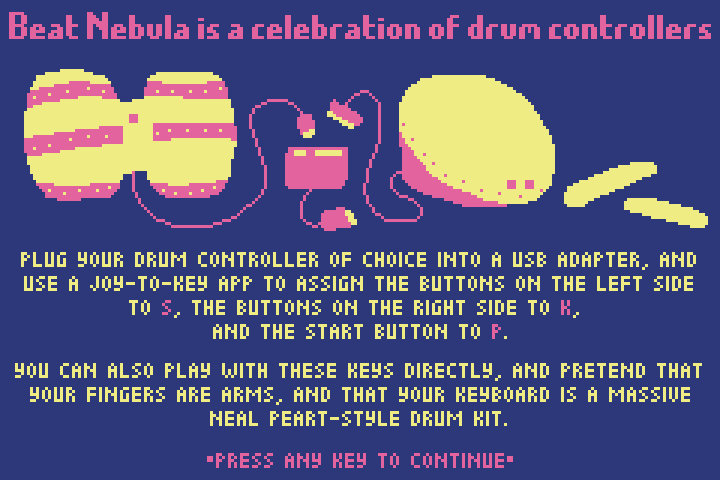 What makes Beat Nebula so unique is that it makes use of the GameCube Donkey Konga Bongo controller. The option is there to use a keyboard, but as Cordes himself says, "it's a lot more fun with a controller you can hit really hard." The game also supports the Taiko Drum Master controller, should you have one to hand. Cordes intends to polish the game a little more, and has recently added particle effects and an increasing difficulty level. You can download it for Mac or Windows here. Wow! And how am I supposed to connect my bongos to my PC, since it doesn't have GameCube controller ports? @Snader Use a USB adapter... Like it says in the instructions. Also, I believe someone out there made a way to get the Wii U GCN controller adapter to be recognized on PCs, since that also connects to the Wii U via USB. I have both controllers but I'll need to see some gameplay before I invest in a USB adapter. It's not the game that's supporting this, it's the Joy2key app, or any Windows app that maps USB controller input to keys (there are many). It's just a keyboard game that is recommending you to use a key mapper for controller support, nothing newsworthy unless the game itself is newsworthy, in which case maybe you should go into more detail about the actual game than 2 sentences. I don't think there are enough buttons on a keyboard to represent each piece of Neil Perts drum kit. 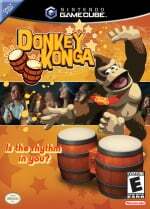 @Blastcorp64 ...aha, right..I know @Captain_Gonru has enough bongos to make that set tho...lol, this is the game for him..
@Captain_Gonru ..lol..yea, thought of you soon as I saw this..nice find btw, I need to walk your beat..